God YES!! 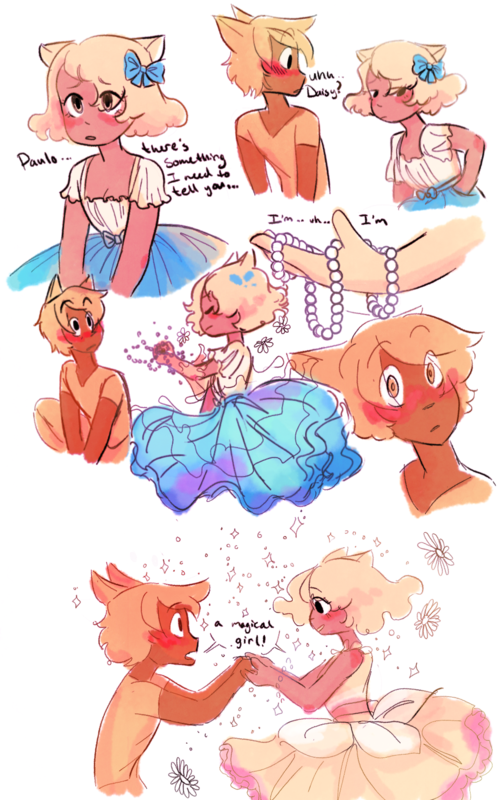 Both their expressions & designs look so adorable and the idea with the pearl necklace as transformation item is so cute aaah. this is so lovely! who's the artist tho? the tag's missing! The blue ribbon disappearing is such a nice touch along with the blurring with the colours as she’s transforming, so goooood!